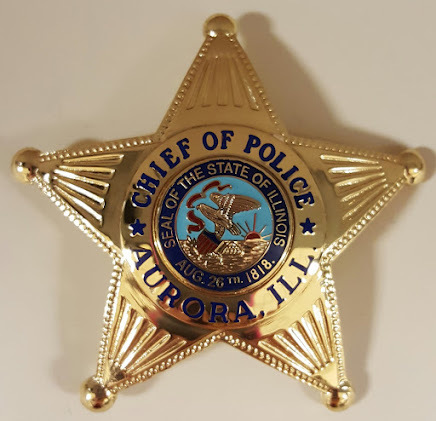 Aurora Police officers go through many hours of annual mandatory training to ensure that we are prepared to engage in battle against evil whenever it becomes necessary. We believe you “play like you practice” so our Training Division creates scenarios that are designed to give us realistic dress rehearsals for the real things. The training encompasses firearm proficiency, defensive tactics, crowd control and law updates, to name a few, and we pride ourselves on our preparedness. Since our profession is masterful in creating human beings that are willing to run towards the gunfire when all others are running away, most police officers, like soldiers, are proficient in the tactical skills that are instrumental to our survival. Unfortunately we sometimes fail when it comes to teaching officers to cope with the stresses that are inherent in our profession. During my early training, no one told me that I would not sleep for a week after seeing my first double homicide where small children, although spared, were locked in the apartment where their parents had been slaughtered. No one warned me that the first sexual assault case against a child would forever alter the way I saw the world. I don’t know that you can train for these traumatic events except to experience them as they unfold and try to figure out a way to silence the film reel that continuously replays in your mind. These scenes appear over and over, and in time, a police officer becomes immune to the trauma. Those who don’t develop immunity are doomed to a life of pain and suffering so a person’s emotional survival many times depends upon building walls. I never believe anyone who tells me they keep their home life and work life separate. I don’t think humans can compartmentalize the two worlds by masterfully navigating between them – even if they claim to have this skill. This is precisely the reason police officers are believed to have a higher divorce rate and are more susceptible to alcoholism or other unhealthy vices as compared to other occupations. In my research however, I learned that 147 police officers committed suicide in 2011. That’s over two times the number killed by a bad guy with a gun. I’m not a psychologist but I believe there is a correlation between the stress incurred in this profession and the high suicide rate. If an officer has not developed or learned the coping skills necessary to handle trauma, it manifests in other areas of their lives. Relationships are bound to suffer based on my aforementioned compartmentalization theory and officers are likely to turn to unhealthy vices to numb the pain. In a final act of helplessness, death might seem to be the only option to stifle the suffering. I truly believe policing is one of the noblest professions. The skill and will of a well-trained officer benefits mankind in the understanding that the police are our nation’s first line of defense when we are met with a threat. We train so we can be the victor over the bad guys but I sometimes wonder who will save us from ourselves.